One of the legends of the town of Abingdon is that Oakwood forest is cursed. In Halloween, at midnight, driven by curiosity, Axel, Steven and Alfred go to the forest to investigate. Then Alex is mysteriously separated from his friends by an unknown force. What fate awaits him? Can Alex find his friends and get out from the forest? The story has several choices that lead you to 7 different endings and two love interests! Depending on the reception of the game we plan to make a big expansion or a sequel. I love it,it is SOOooooooooOOoOOOO good so far ! Legit one of my favorite visual novels of all time. I really love this game, its story and its characters (yes, including the protagonist)! Thank you for producing such an excellent game! I'm from China so there must be many grammer mistakes in my comment.Excuse me please. I played T&T on steam and all endings were completed 2 weeks ago. 5/5 Perfect! During my spare time I would play it not only for relaxing but also as a good method to learn English.It's really an interesting experence to click the mouse and look up the dictionary to understand what the pretty girl in the screen was conveying. I love the atmosphere! I love the soundtrack! I love the story! Really a nice game! And......I love Ashley!!!!!!!! She's so adorable!!! 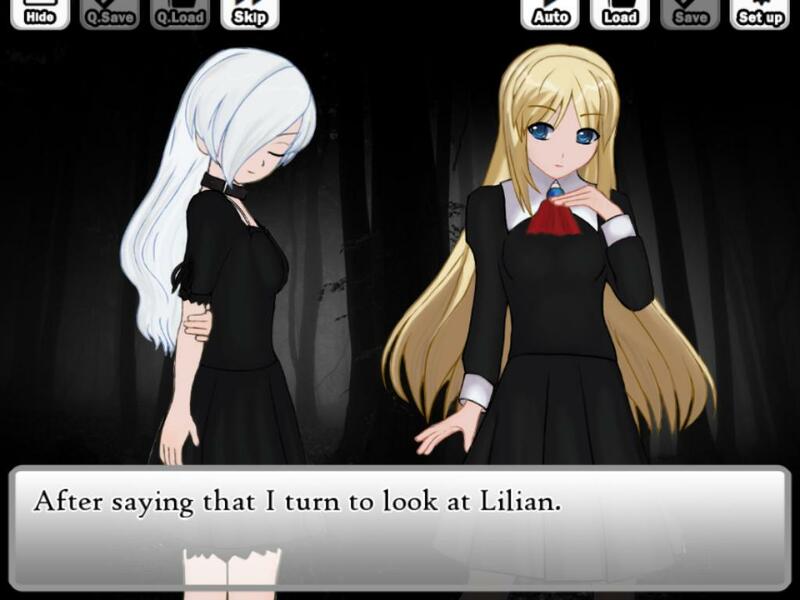 In my opinion, Visual novel is such an wonderful concept that worth spreading through the world.Now ,Connected Hearts has been downloaded on my steam. Ready to meet next good game! Played this on Steam, liked it! The story was compelling enough to keep me reading but I found the grammar clunky, unfortunately I am not good enough with Spanish to read it in what I assume is the original language. In English I am afraid it gives a very "translated" vibe. Still, I love the story and hope that you decide to expand! I think that the part where boys are sitting in the room is pretty boring, like a sprite could be added or something else, translation has mistakes, I also have a little problem with the aesthetic. But the rest is absolutely fine. I liked the story, the characters and music. And endings. So keep up the good work! Es un juego genial, me encanto la temática, los paisajes, los personajes y la música y ambientación es simplemente genial, me encantaría que sacaran una expansión de esta misma novela, por favor traten de sacarla, me encantaría la descargaría apenas saliera , simplemente el juego es increíble jueguenlo no se arrepentirán y animo sigan haciendo novelas geniales, estaré esperando la expansión de trick y treat, gracias por este maravilloso juego. This game had me hooked from the instant I loaded it up! I'm really not a fan of horror games, but the atmosphere that the beginning had captivated me entirely! I think the endings must have taken me through a whole host of emotions by the end, and (trying not to spoil here) I'm glad it ended how it did. The one problem I had, and this is just a small thing, is that the English translation isn't exactly fantastic, there are some places where the phrasing is perhaps too literal. 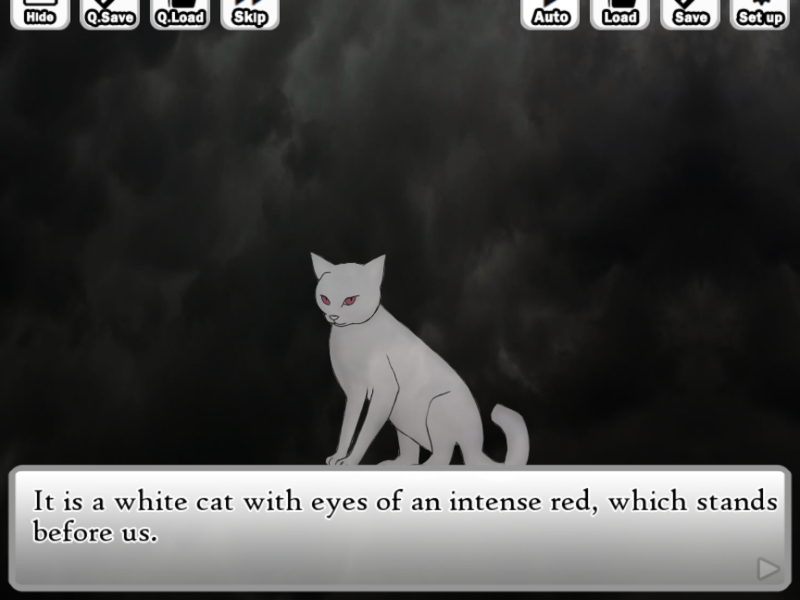 But other than that this is one of the best VNs I've played on this site! I can't wait to see more of your work! Okay, correcting my previous statements, I would like more ending variations. Great game, yes, but as I said in my previous comments that are now deleted as I have found out a mistake with them and they would just sound stupid now as well as the fact that editing them would let me forget what I want to say because I didn't think about editing them and had already deleted one, most of the endings can be very depressing. Is there ANY way at all I can get the soundtrack! I would do anything to try to get it! The music is so calming and well made! I don't think that there is another soundtrack that I have LOVED this much!!!!!!! I did a play through for my YouTube channel, I will include a link to the playlist once I edit and upload the videos. Things got quite interesting during my playthrough. Also, the description says Alex, but the game says Axel...I like it. Axel rolls off my tongue easier that Alex. Overall, I loved it. 5/5. This is a good visual novel, but I think adding a ''harem'' ending would be even better. I have a bit of an idea. Alex brought a knife to the forest in case of there being something to fight and uses it to make some noise to stop the 2 girls from fighting, But then again its your game.